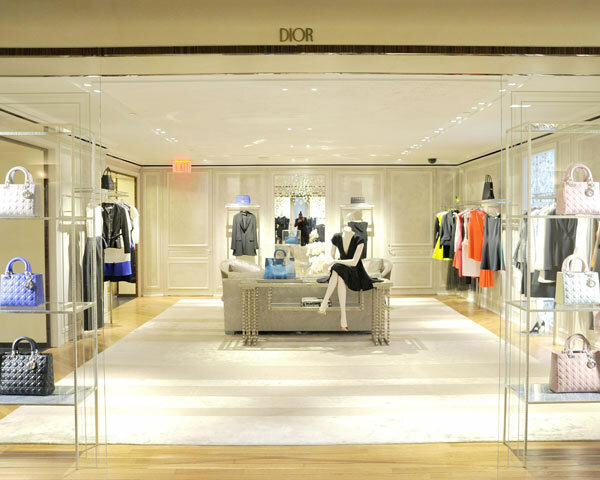 This week Bergdorf Goodman is celebrating its new second-floor Dior boutique, modeled after the famous Avenue Montaigne boutique in Paris, where Dior had his atelier in 1947. The festivities included an in-store cocktail party and a beautiful private dinner at the Four Seasons. As part of the celebration, Bergdorfs has also presented sleek Dior-themed windows featuring runway looks from the spring collection. Not a bad start for Raf Simons’s first ready-to-wear collection for Parisian fashion house, and very well-deserved: Dior’s Spring 2013 is elegant, modernist and very powerful.